The tab element allows you to organize your page by placing content on different tabs. Tabs are a great way of organising your content and can really help ensure your pages do not look cluttered. To get started with the Tabs Element, simply drag it onto a page. 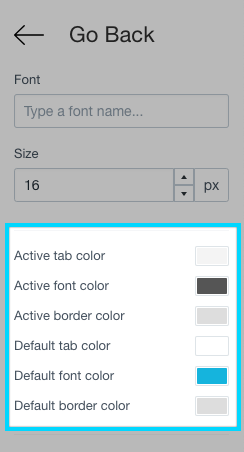 You will notice that once this is on the page, you will be given new dropzones inside of the Tabs Element that will allow you to drag other elements into the Tabs Element. You can set your tabs to be left aligned, right aligned or centred on the top of your element. Shogun offers you the ability to change the style of your tabs between rounded and modern. The Tabs Element gives you options to customise the looks and feel of your content. 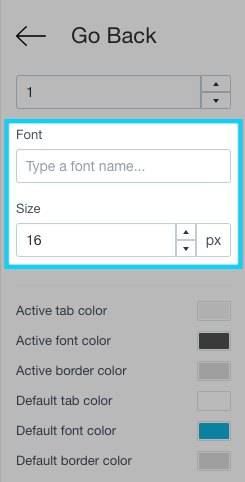 You can even change the font and the font size that is used with the Tabs Element.